Imagine a field full of deep, wine colored roses - that's the color you will see when you gaze upon these 2.5mm garnet and white gold stud earrings from Apples of Gold Jewelry. Each authentic garnet gemstone measures 2.5mm in size, and are set neatly onto a 14K white gold post and prong setting with a friction push back closure. The AA rated gemstones are round cut and look simply stunning when paired with the bright and sparkling white gold. 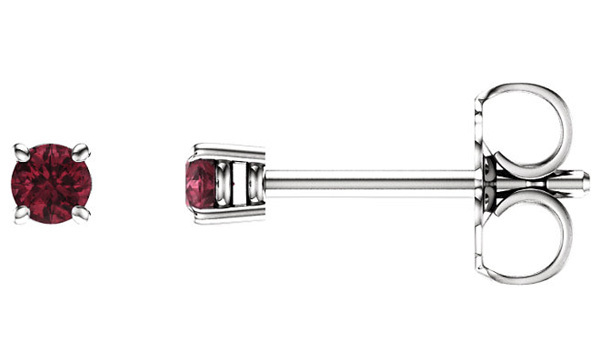 We guarantee our 2.5mm Garnet Stud Earrings, 14K White Gold to be high quality, authentic jewelry, as described above.